The Chopping Block have catered for numerous unique and large events up and down the length of the United Kingdom, and were delighted when we were approached by ‘All about the Idea’ to assist in their latest project. All about the Idea are a huge part of the global communications consultancy ‘Instinctif Partners.’ As the marketing, consumer PR and social division, the play a huge role within the internal events sector, and pride themselves on individuality and flexibility when it comes to giving the client the event they desire. All about the Idea reached out to The Chopping Block to determine the logistics and budget needed to run multiple events across different locations for Lidl, one of their most prestigious clients. As a highly successful retail company founded over 85 years ago, in Germany, Lidl has since established itself in across more than 20 countries throughout Europe. Since opening their doors in the United Kingdom in 1994, they quickly became a favourite with British shoppers. 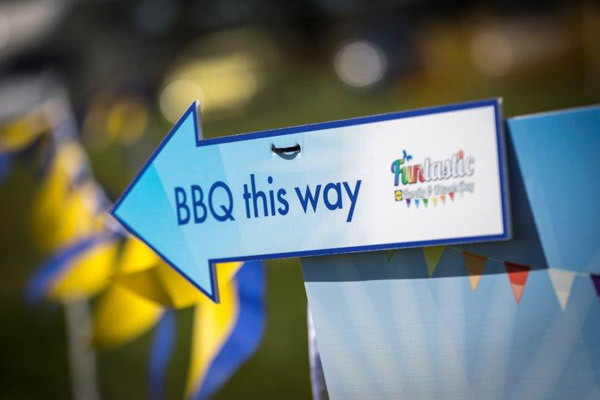 To thank their employees, Lidl held Funtastic Friends and Family Days across multiple weekends up and down the length of the UK. 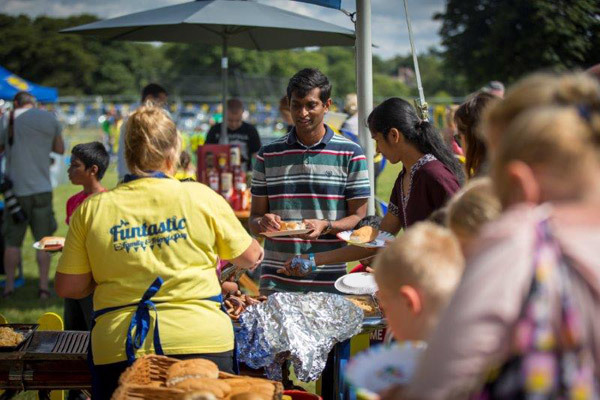 These fete-like events were bursting with activities ranging from bouncy castles and rock climbing walls to face painting, crazy golf, and arts and crafts. The Chopping Block were selected by All about the Idea to help deliver the food and represent Lidl’s produce to its best; to ensure that everything was done in abundance and the presentation was in top shape from the first person arriving to the last person leaving. Whilst working with All About the Idea within the budget set, logistics and timings were key – which due to the different venues, weather conditions, and number of guests, meant that The Chopping Block had to be very flexible and have the ability to change tack at any time. 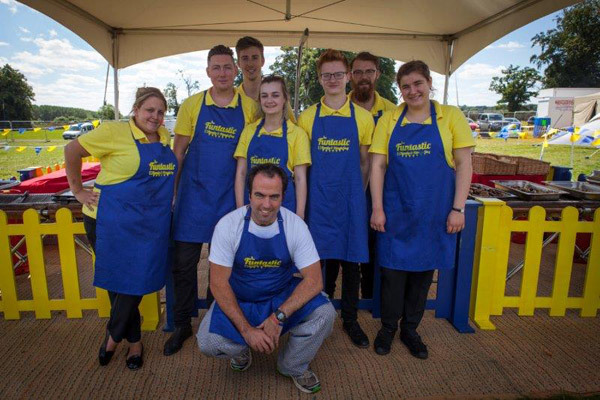 As well as providing a seamless service for All About the Idea at the Lidl event, The Chopping Block also had the opportunity to work in with several other companies and suppliers as part of the events, such as fun rides, security firms, and with Lidl directly with regards to stock. With over 22,000 employees, and around 1,000 guests expected to attend each day, Lidl required a set menu that would be enjoyed by all tastes, dietary requirements and ages. With the events running over a four-month period, from Wimbledon in London to Livingston in the heart of Scotland, logistics and timing was key. Lidl required a caterer with the skills and experience to deliver to a wide audience, as well as the operational expertise to execute events in multiple locations. In addition, The Chopping Block provided the high-end, large kitchen units required for such a large scale; including a beautiful and enormous Sanki Grill. Lidl were assigned a dedicated account team to ensure communication and logistics ran seamlessly – both before, during and after each event. Setting up on the Friday, the Chopping Block serving area included all the cooking equipment as well as a seated area. All about the Idea, Lidl and The Chopping Block worked together to make sure everyone was catered for, and special dietary requirements such as vegetarian and Halal were cooked separately. 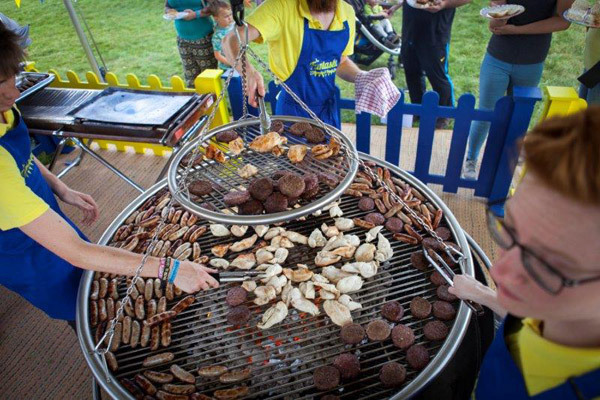 Serving English sausages, succulent beef burgers and BBQ chicken breasts served on fresh, fluffy bread buns, topped with caramelised onions and an array of delicious Lidl sauces, the guests were impressed. With meticulous planning and vigilant communication, each event was flawless. Through the dedicated team, The Chopping Block were able to ensure that the unique requirements of Lidl’s events were carefully tailored to ensure the maximum potential was reached. The result was an array of unforgettable and memorable events for the whole of the Lidl family!